The Friends of Katahdin Woods and Waters (aka Friends) Fellowship Program provides opportunities for students to expand their education in non-profit management, program development, environmental policy, fundraising, and community development through hands-on experience. Fellows receive credit from an accredited higher-education institution as part of an internship with Friends. Before starting a fellows program, an interested student should reach out to Friends staff to set up a time to discuss interests, background, time commitment, and potential collaboration. Fellows work with staff to develop goals and activities that they can share with their academic advisor prior to beginning the program. Limited funds for stipend are available to fellows during their time with Friends. If you are interested in pursuing a fellowship with Friends, please send an email to info@friendsofkww.org stating your name, affiliated school, the time period you’re interested in, and contact information. Below are profiles of our current and previous Friends Fellows. Haley Jaramillo, from Hallowell, Maine, was the Friends’ Summer 2018 Development Fellow. Haley is a daughter to a Registered Maine Guide and has grown up participating in a variety of outdoor activities in the Northern woods of Maine. Her interest in the Katahdin Region was ignited during her undergraduate research for the Michael D Wilson Research Scholar Program. The research investigated the designation of public land in the case of Katahdin Woods and Waters National Monument within the frameworks of preservation vs. conservation and the romanticization of nature. Currently, Haley is a masters student of Public Policy and Non-Profit Management at the University of Southern Maine – Muskie School for Public Service. 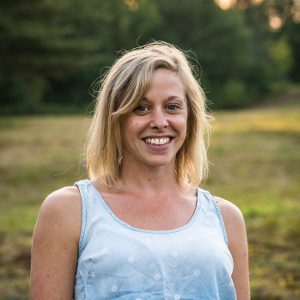 This fellowship aligns with her interests in building communities through financial development in Maine. This summer Haley is focusing her work on three main objectives: membership growth, grant writing, and coordinating events. Haley recently moved to Portland with her partner Gabe and enjoys exploring and experiencing new outdoor adventure opportunities. Following her fellowship with Friends, Haley became the Communications & Development Associate with Portland Trails. 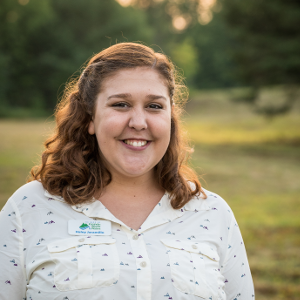 Anna Korsen joined the Friends of Katahdin Woods and Waters team as an intern and place-based learning fellow during the Spring of 2018. During her time with FKWW, she worked on long-term planning and development of the Katahdin Learning Project, facilitating growth throughout the region and growing the resource and funding base for this initiative in order to increase community support for the Katahdin Woods and Waters National Monument. Anna worked as part of a team to hone the goals and activities of the newly established education program that provides learning opportunities to students of the Katahdin Region through experiences in nature and community service. As a masters candidate of Public Policy and Non-Profit Management at the Muskie school, this work aligned with her studies of poverty, education, and social policy. Anna finished her degree in May, and now works as Program Director with Full Plates Full Potential, a statewide non-profit dedicated to ending child hunger in Maine. Anna spends most of her time thinking about food, looking up recipes, cooking said recipes, and eating them. She enjoys walking and biking and feels her best when she can leave her car at home for days at a time in lieu of more sustainable methods of transportation. Anna grew up in rural Maine and on an island off the coast and requires fresh air and open spaces to calm her mind and feed her soul. She is an avid reader, especially of heart-breaking sagas. Anna lives in Portland with her partner Brian and her 7-year-old son Arlo. During her fellowship with Friends, Anna began a job as the Program Director at Full Plates Full Potential.